What if the phone on your desk could tell you when the coffee was done? Or your iPhone could automatically tell you what song was going to be on the radio when you turned on the car? While these ideas might have once seemed like virtual impossibilities, the Internet of Things, or IoT, has made these types of futuristic desires more than possible. IoT devices use wireless technology to connect to the internet, then transfer that data to your smartphone, tablet, or computer. Beyond that, they can use their internet connections to accomplish tasks all by themselves. Keep reading for more details on how the Internet of Things is influenced by, and connected to VoIP technology. 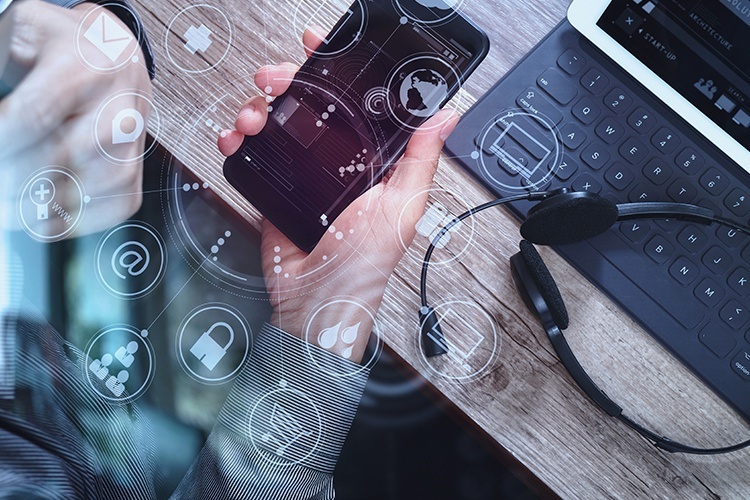 One way the VoIP and the IoT can work together in an office setting is by automating some administrative tasks that can otherwise be tedious and take up valuable employee time. For instance, an IoT-connected copy machine may know when its toner is running low. With VoIP connectivity, it can either alert a staff member to place an order, or it may even be able to place the order itself. The same is true for IoT devices that need regular maintenance. Office equipment like copiers and printers may need regular maintenance to ensure they run correctly. Even company cars may be internet enabled, connecting to your VoIP handset and letting you know that it is time for an oil change and tune up. The initial investment in IoT and VoIP can be offputting, but with the right choices, this type of integration can create impressive cost savings. For instance. One of the more popular IoT devices on the consumer market is the ‘smart’ thermostat that allows you to control the temperature of your home from your WiFI-enabled smartphone. Smart thermostat studies in homes show that you can save at least 10% annually on the cost of energy. In an office setting, the potential savings are even higher. Mobility is a key selling point for many VoIP systems. With the right setup, you and your employees can answer work calls from your smartphone seamlessly. The internet of things can take this experience to the next level. When you have your business VoIP enabled on your smartphone, you can use it to take your work flexibility to the next level. For instance, if your office has multiple locations and staff that float between them, they can use their smartphones to reserve a desk, and no matter where they are on a particular day, you know they will be able to connect to their clients and customers with the same level of reliability and all the same functionality. VoIP and the IoT go hand in hand. So many IoT technologies rely on smartphones. With a UC system that lets your smartphone act as your main office number as well, you will quickly find that all your devices can talk to one another and your entire work life can start to run more efficiently. An IT consulting company that knows the latest in tech will be able to help you create an IoT and VoIP integration that works for you, building the technological infrastructure that you need to improve business operations and achieve your strategic business goals. To learn more about what business technologies are on the horizon and how they may fit into your company, be sure to subscribe to the NascentHub blog, which is regularly updated.